Moonshadow was originally a twelve-issue maxi-series by Marvel Comics under the Epic imprint. It was the first American comic book whose art was done entirely by painting. 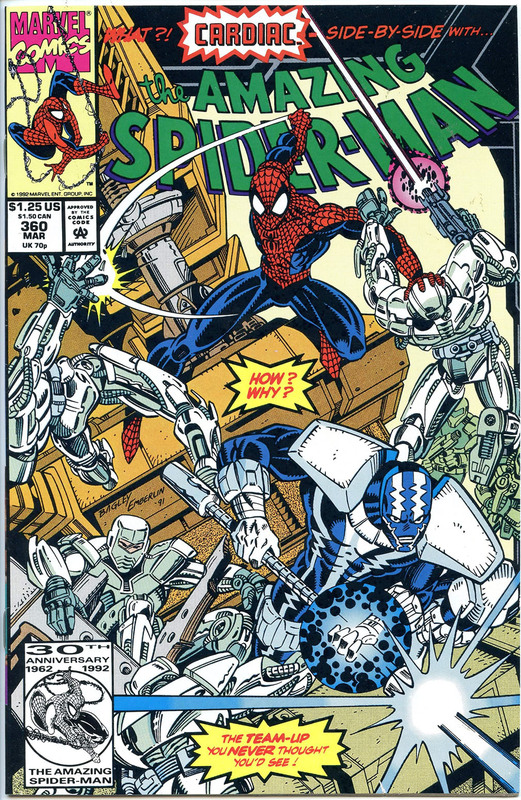 The series was subsequently reprinted as a single volume in 1989. Also in 1989, a limited edition hardcover was also released by Graphitti Designs. Only 1200 copies of this edition were published, each individually numbered and signed by DeMatteis and Muth. The story takes the form of an eclectic and quirky fairy tale with satirical elements and dealing with philosophical concerns. It is told via the framing device of Moonshadow, now 120, looking back on his earlier life. The action concerns the events leading up to the “awakening” of Moonshadow, the child of a hippy mother and an enigmatic alien father. The alien, who resembles a glowing orb of light bearing a stylized human face, abducted Moonshadow’s mother from Earth in 1968 along with her black pet cat, Frodo. When the idealistic and naive Moonshadow is orphaned at approximately age 15, he becomes friends with a venal and opportunistic furry humanoid named Ira. Moonshadow and Ira and Frodo the cat set out to find a life for themselves in the stars. In 1994, DC Comics, under their Vertigo imprint, republished the individual issues as a limited series. The Compleat Moonshadow followed in 1998. This edition also included Farewell, Moonshadow, a one-issue sequel, also published by Vertigo, which, set long after the action of the first miniseries, acts as a coda to the series. The Compleat Moonshadow included textual revisions to the original series.